Meet the power behind the English throne. Once upon a time, an enchanted little corgi dog named Susan was given to Princess Elizabeth on her 18th birthday. Susan saw her mistress through her fairytale marriage to Prince Philip, their honeymoon, her coronation as Queen Elizabeth II of England, and the birth of the royal children. 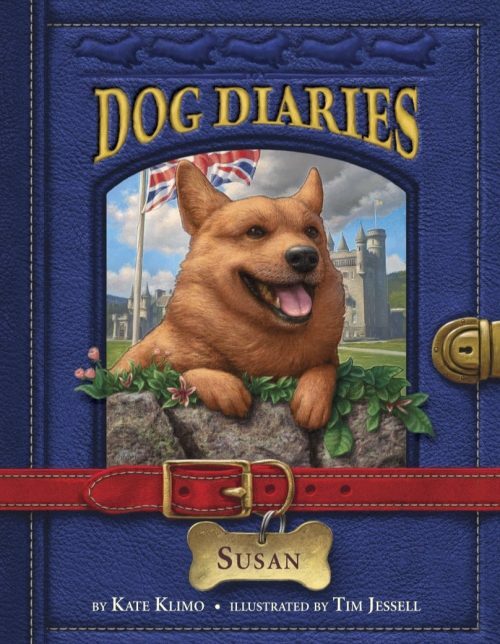 Susan is also the matriarch of her own Corgi Dynasty that spanned seven decades. This is the inside story of Queen Elizabeth’s deep and abiding bond with this singular breed. Her corgis have always gotten the royal treatment. She gives them the run of all the royal residences. She, personally, brushes their fur and cleans their paws. They sleep in cozy baskets in the Corgi Room at Buckingham Palace and eat meals prepared by the royal chef from silver dishes served to them by royal footmen. And when they go “walkies,” Her Majesty Herself often does the honors. Learn all about the furry power behind the throne—and the corgi who, along with her mistress, started a corgi craze that continues to this day.